Yesterday was a long day; super fun, but super long as well. I had plans to spend the entire day with my old neighbors. They have two girls in Elementary school, so our day revolved around them! 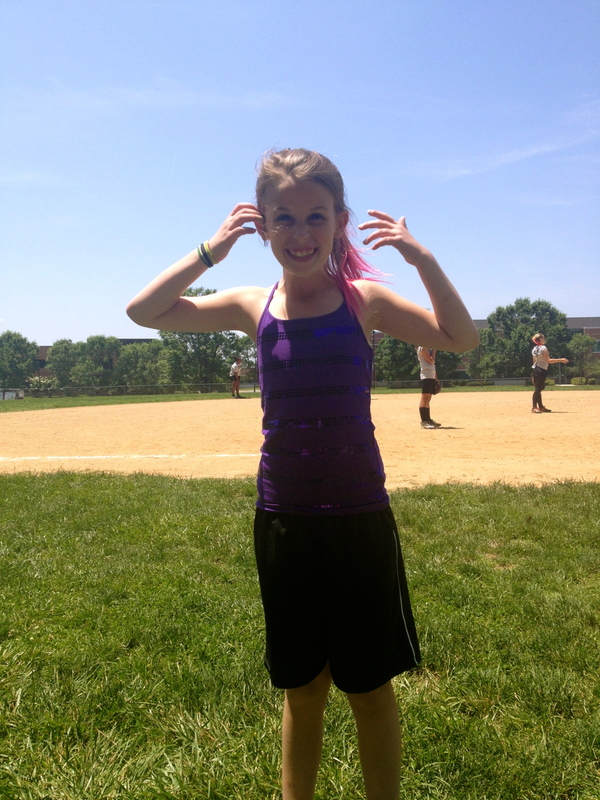 Our plans included: a softball game, a soccer game, a second softball game, lunch, a dance recital, and then dinner! Pheww. Yesterday was my off day from working out, so I got to sleep in a little bit and eat some overnight oats before they picked me up for our adventurous day. 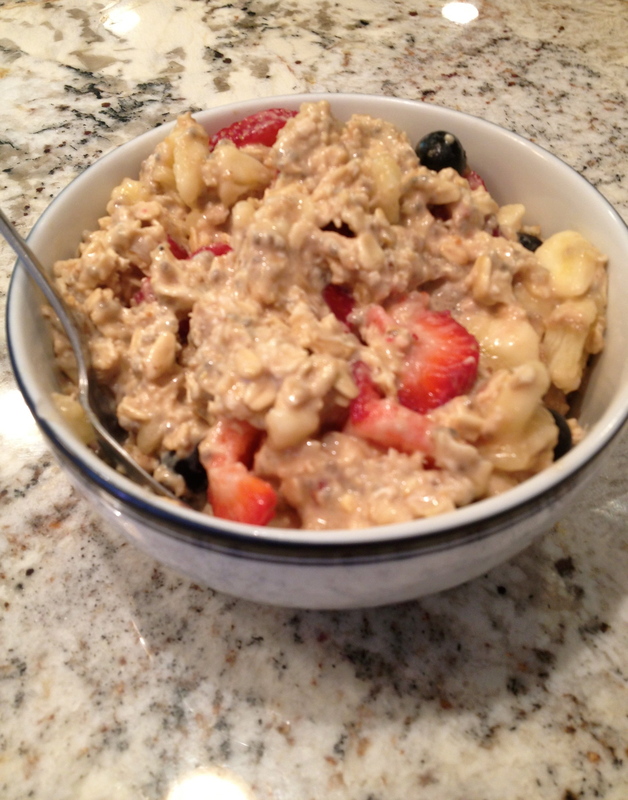 I knew that I wanted to sleep in, and eat something fast in the morning, so overnight oats was the perfect option. As soon as I got home from work on Friday night I prepped them, and stuck them in the fridge to get all yummy for me to eat the next morning :). I let them sit in the fridge all night to thicken. In the morning I added some more sweetness and flavor by topping my oats with: a handful of blueberries, half a sliced banana, and three sliced strawberries. Perfect breakfast. Directly after my breakfast, I barely had time to get dressed and put on some makeup before they were at my house to pick me up around 10:30! Right after they picked me up we went back to their house to hang out for a little before heading out to our first stop of the day; softball game number one! 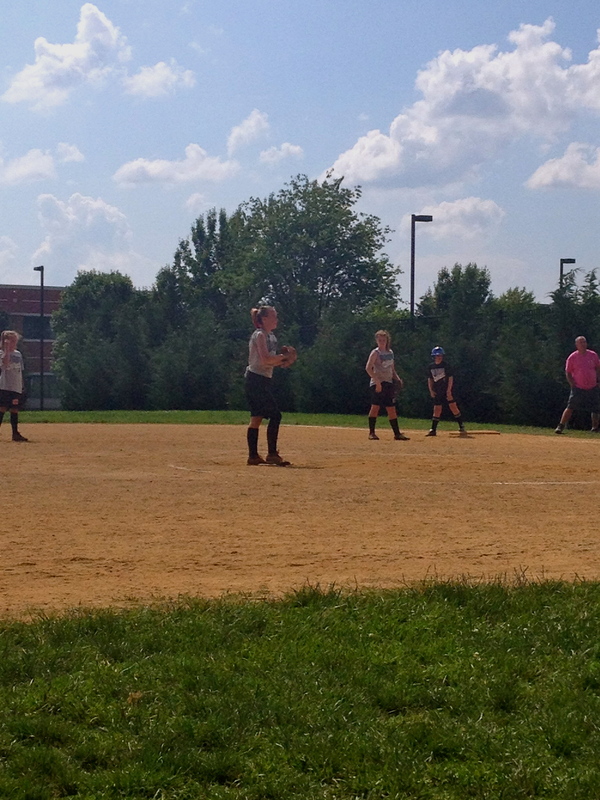 Alyson was pitching while Caroline was being a cheering fan on the sidelines with me. 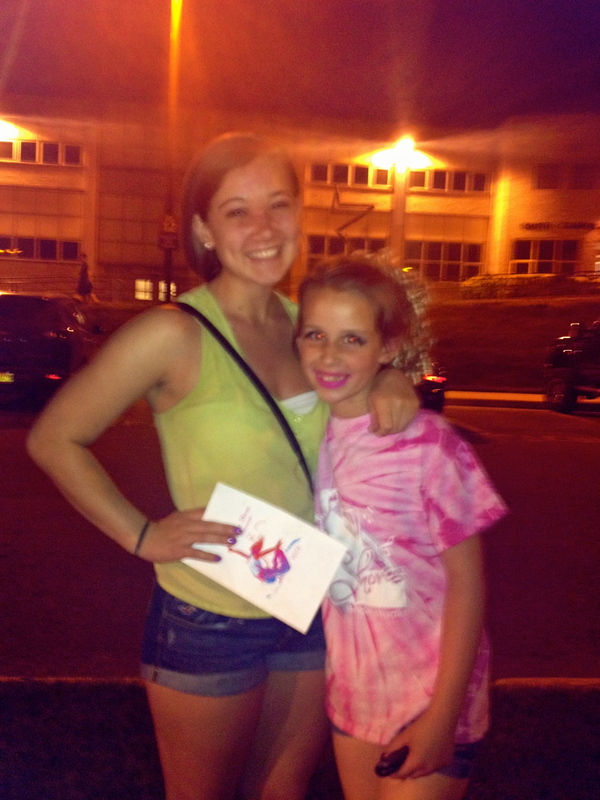 Isn’t Caroline’s pink hair the coolest? After a few innings this little cutie, their Mom (Wendy), and I, headed off to event number two; soccer! 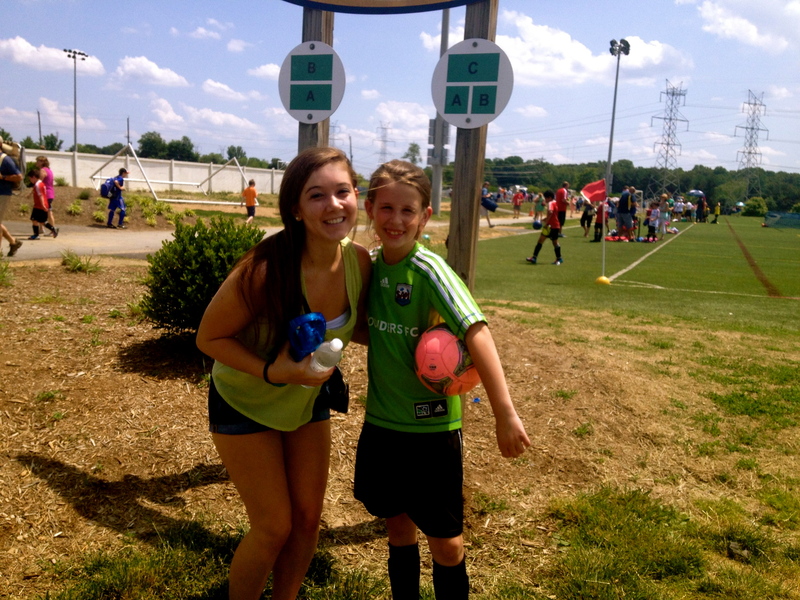 Caroline was playing at the Soccer Plex. I used to play at the Soccer Plex nearly every weekend when I was younger and I hadn’t been back there since soccer camp Senior year. Needless to say I was SO excited to return, and it brought back a ton of memories. Obviously I had to take a picture with Care there before her game. Watching little kids play soccer was absolutely adorable, and they won their game against an un-defeated team! Way to go Care! After Caroline’s game we went right back to Alyson’s second Softball game, she was playing a double-header. It was burning up outside yesterday, 90 degrees. So, Wendy bought Caroline and I some fans to cool us off while we were being cheering spectators. 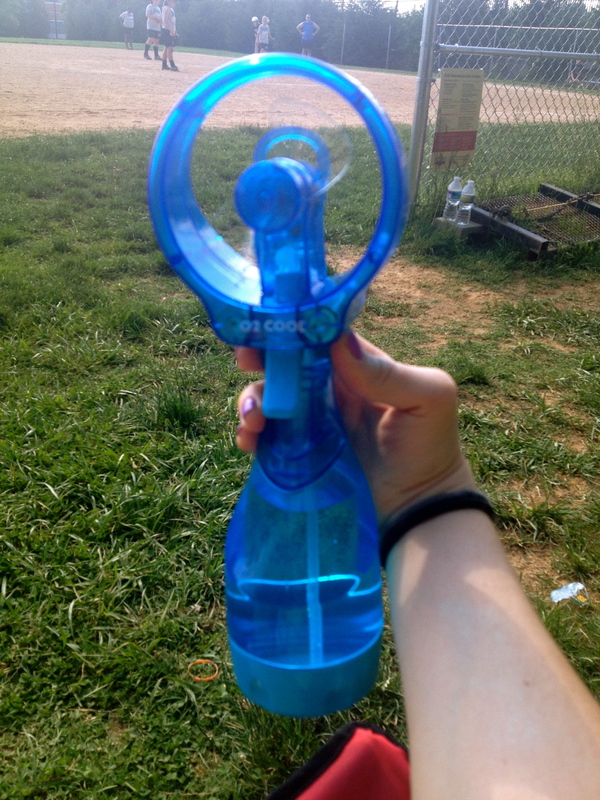 They were totally awesome; a fan and a spray bottle in one. Definitely came in handy multiple times throughout the day. Alyson won her first game, and tied the second. After the game all the girls rushed over to the recital to get ready, and John and I had a very late lunch at California Tortilla. I just got a cheese quesadilla that I forgot to snap a picture of. 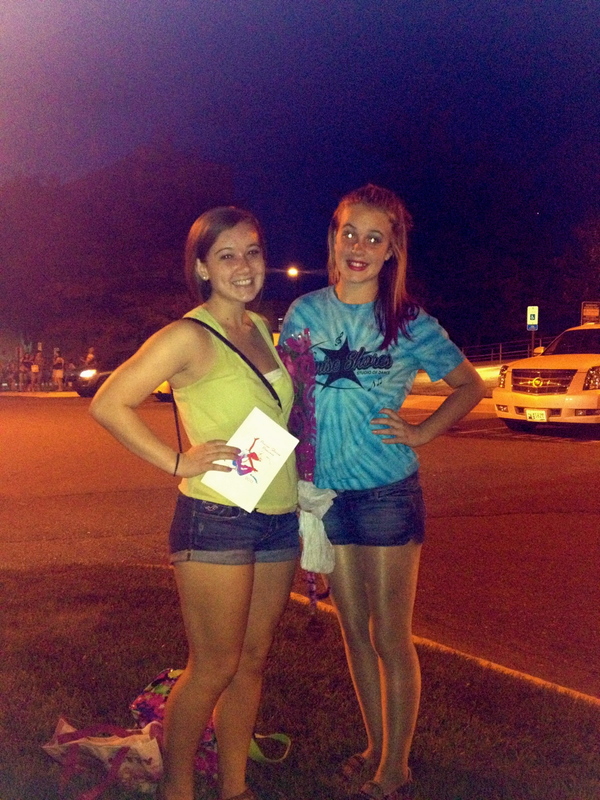 We got to the recital at about 6:30 to get good seats, and then sat down and enjoyed the show. Aly had 6 dances, and Caroline had 4, so there were never huge pauses of watching people I don’t know between their dances. just the way I like it ;). The girls were both amazing, I don’t know how they had enough energy to dance their butts off after their long day. I was tired enough just watching them all day, so I can’t even imagine how they did it! But, they were troopers. 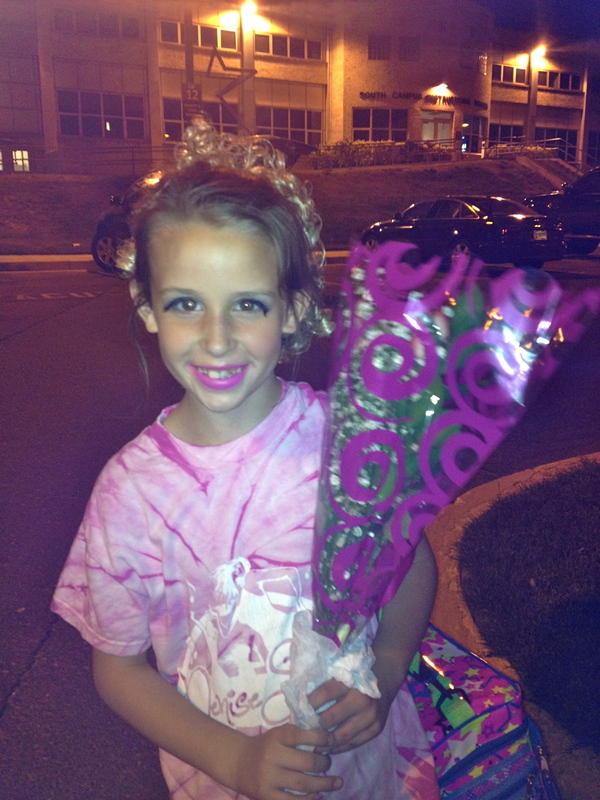 After their recital we all went to dinner at CPK before they took me home. I loved spending time with my favorite family, and can’t wait to see them at Amy’s graduation party in a couple weeks!